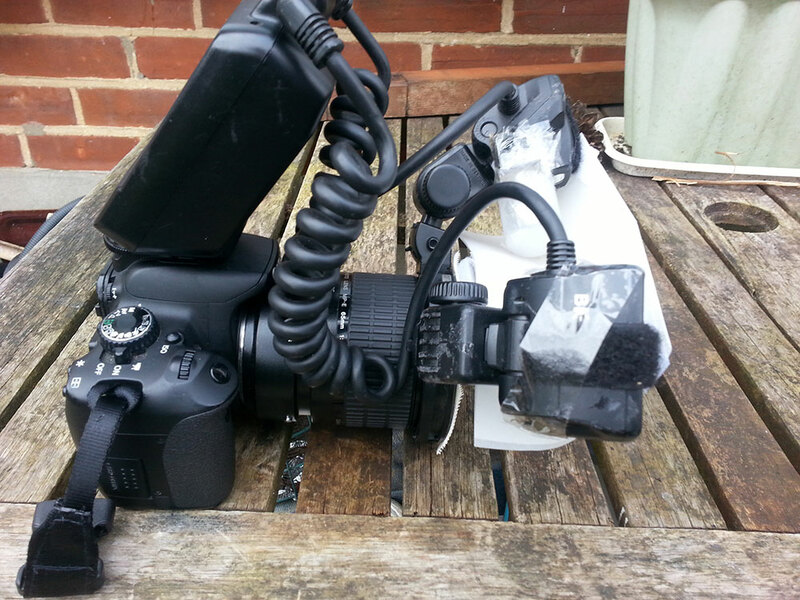 This is details of my 10th diffuser setup for the MT-24ex. It is essentially a piece of vellum paper folded back on itself ( so it is double layered ), supported on the base of a clear plastic water cooler cup. 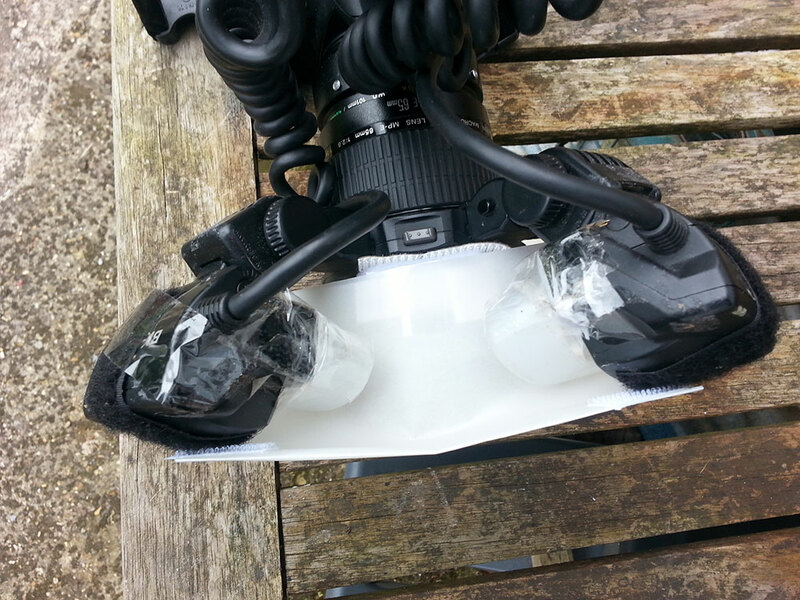 It is based on steb1’s concave diffuser ( the base of the water cup being the support base ). I have seen and liked the look of Kurt’s version and as have yet to find any foam, so adapted the setup to use some vellum paper that it velcro’d up to the top of the flash gun. I have done this to bend the vellum up. This is for two purposes. To try to bend the diffusion of the light ( that’s what I hope it will done anyway). To have the diffusion material as far away from the subject as possible – less bug spooking hopefully. The flash heads point down into the vellum and are covered with Dove Deodorant tops. 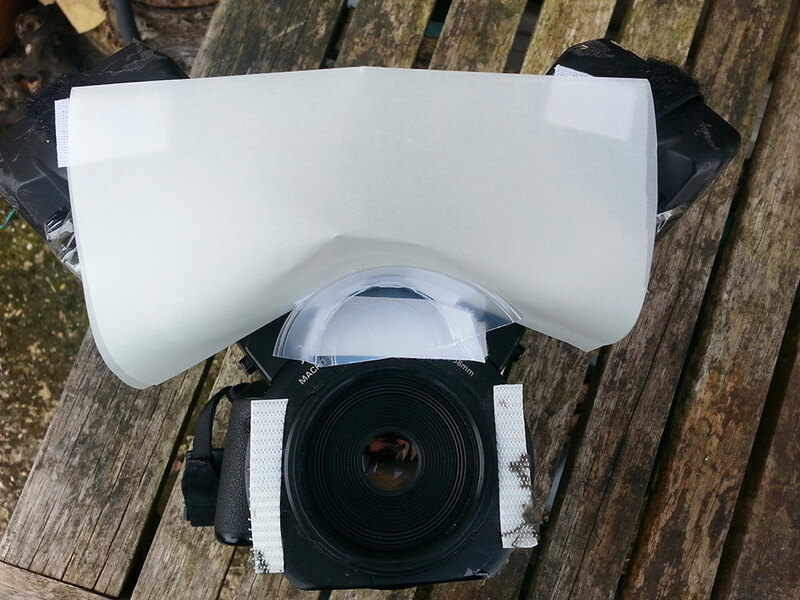 I have used velcro to attached the water cup to the MT-24ex flash holder, and also to attach the cup to the vellum. The shot below is a straight from camera shot – no editing. A pleasing start to this setup. 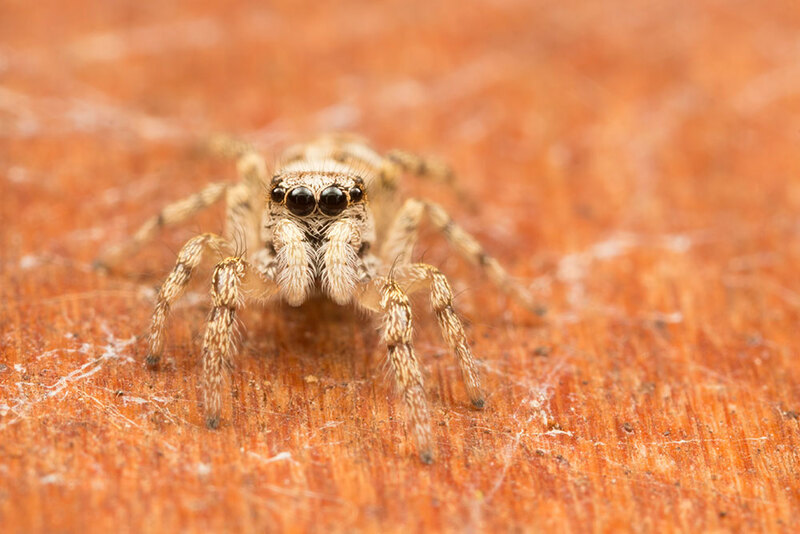 For more processed shots of the spider and this set up see this post.